All the things that anger and frustrate you are your final illusions in this odd physical reality. 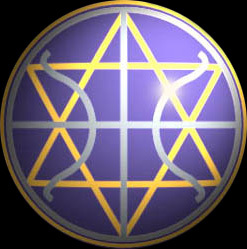 Ummac Dan: The Galactic Federation of Light symbol for the Sirian Star System. The Ummac Dan is an emblem that greatly activates all humans. Dratzo! The slight delay around Easter is over and the funds are moving forward again. This cat-and-mouse game of stop/start is related to the concern of the ancient families and royals over the sudden way that the oligarchs strike and how they too often disregard whatever they have agreed to. This wariness is thus reflected in the odd way funds have moved over the past few weeks. We have sincerely questioned these tactics and suggested alternative methods for countering this continued distrust of the way this process is to conclude. In any case, you are to eventually receive your initial funds and are to see the downfall of the rulers who compose their many defacto regimes. In fact, let it be known that the farcical false flags in both Paris and Brussels are just ways used by the dark to show that its days of manipulating you are not over. As long as their puppet governments rule, you can expect even more attempts to scare you. Fortunately, the new American Republic proposed by NESARA is quite close to actual fruition. There are still a few kinks left to work out and a stronger set of agreements to be put in place. The dark cabal is like a cornered animal. It is constantly applying survival strategies that have seemed to work in the past. These false flags are yet another example of this. ISIS is a tool of this process. Its support comes from careful funding by the secret government, and it uses specially trained mercenaries to tutor its forces in irregular warfare tactics, which it currently employs. It has established “cells”, similar to those used in previous wars against the French in Algeria in the 1950s, and used in other guerilla wars since that time. These strategies are being employed to make it seem that these militants are somehow indigenous to the Middle East. What they are doing is stirring up a pot of frustrations that has existed ever since the West stifled a pan-Arabic revolution against the Ottoman Empire in the late 1910s. This set of ongoing irritations, as well as the fate of millions of Islamic immigrants into Europe, now needs to be properly addressed. These issues require resolution by the Light and its new set of governance. These problems have not as yet threatened the funds, but they have made many people weary of the continuing shenanigans of the dark and its cronies. When the new governance is soon established, these numerous divergences are to be carefully looked at by the Light’s many representatives. Those programs destined to resolve these things are to be approved and, if necessary, supported. The key elements are peace and cooperation. NESARA is all about forging a new realm based on peace, prosperity and trust. We are aware of what happened when the “post-Anchara” era began in this galaxy a few decades ago. We intend to continue to advise you how best to prepare this realm for first contact. The dark cabal is a series of organizations and people who deeply wish to maintain their “divide and conquer” strategies. Once defeated by the Light, these vile individuals need to be isolated and their dark agencies disbanded. Remember you are all one and that Heaven Loves you all very much! We come to implement your final steps to full consciousness. This transition requires that you employ your innate wisdom to change this reality for the better. You dearly wish to enjoy your global prosperity and to come together to show Gaia how your growing consciousness has changed the way you see her and her many diverse habitats. Use this acquired knowledge to end how Gaia’s climate, oceans, atmosphere and land are now being exploited by the dark. Use your abilities to bring your realm into a balance that encourages the spread of life. Use your Love to ready this surface realm for the wondrous lessons of the Masters and for the return of your cousins, the Agarthans. They wish to explain that there are remedies for all that now brings you worry and displeasure. Finally, there are to be our landings and special mentors who are to ready you for the great transition that is full consciousness. You are truly blessed! See this present time as the final chaos before this new realm finally manifests before you! Blessings and joy! We are your Ascended Masters! There are times in humanity’s long history when turning points of great significance are reached. This time is truly one of them! It is not often when those who so callously drive the yoke are unceremoniously driven down. This is such a time and it has been long in coming. You sit at the very edge of this time worrying about how long it is to take. It was begun with stops and starts as it moved inevitably toward its seemingly endless goal. This is to end! You deserve better! We remember, when in mortal human form, watching our students suddenly pushed away from us by “those in the know.” We can see how this carelessness by the dark affected all of us. We understand these distant incidents as well as the big picture itself. 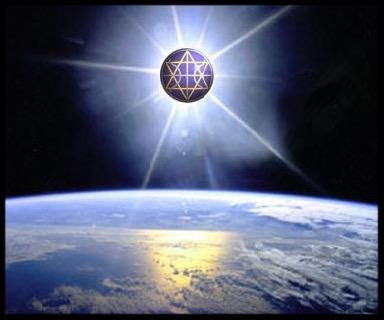 We Masters are doing what we can to alter this picture and bring you prosperity, peace and Love. We ask you to be positive and aid us in this most holy of tasks! To envision a new realm means that the old must in its own inevitable way go. This operation can take time as perceptions need altering. Our joint project is to see that this is done. Hence, together let us envision this realm and manifest it clearly in our hearts. Then it can become real. Use this time, as funds begin to form, to act in concert with us when you do these daily ceremonies. Let our joint prayer and meditations create a new world. You, my dear Charges, have suffered far too long. It is the moment to leap forth and forge a spiritual partnership that can help this envisioning. Many amazing things are happening. Together, we can ensure that these events are the true beginning of an Age of Light. As a unit of Love and Light we can change this world! Use your incredible energies to permit these wonders to appear. Much is about to come to your aid! This realm has seen the dark in charge for nearly 13 millennia. It was at that time that the Anunnaki first started their journey with you. These dark tyrants have since transformed and now it is their minions who cast their gloomy shadows upon you. Now the tables are to turn and you are to show them how mercy and divine grace operate. Learn from this and seek the divine One in all of us! This series of lessons is to show your inner strengths and your great Love of the One! This path given you is one rarely chosen by Heaven. All the things that anger and frustrate you are your final illusions in this odd physical reality. Do not think that wealth by itself can really alter this illusion. Learn wisdom and use it in all things. Understand how the universe and this reality operate. This simple set of lessons can take you far. Always be ready to learn wisdom and to best apply it. Hosanna! Hosanna!